1. Leviticus 16:3-6 – Those who led worship and the congregation needed atonement for sin – none were without sin. 2. Proverbs 23:1, 2 – “When you sit down to eat with a ruler, observe carefully what is before you…. Do not desire his delicacies, for they are deceptive food.” Don’t place your hope and trust in government, and don’t compromise your fidelity to God in order to appease worldly leaders or to remain in good standing with those of authority at the expense of obedience to The Authority. The Bible commands that we obey government but not when government tells you to disobey God. 3. Proverbs 23:4 – “Do not toil to acquire wealth; be discerning enough to desist.” Do not place your hope and trust in wealth and so neglect your relationship with God. If you cannot find time to study the Bible, pray, fellowship with your church, raise your family as disciples, minister to the needs of others, etc, because you are working so hard, you are doing something wrong. 4. Proverbs 23:17 – “Let not your heart envy sinners, but continue in the fear of the LORD all the day.” Obey and follow God; don’t just do what is popular. 5. Acts 12:1-3 — “Herod the king laid violent hands on some who belonged to the church. He killed James the brother of John with the sword, and when he saw that it pleased the Jews, he proceeded to arrest Peter also.” Today’s readings in Acts instruct us on the relationship between prayer and God’s will. Herod arrested both James and Peter. James was executed while Peter was miraculously freed. Surely the disciples were praying fervently for both James and Peter, but still James was executed. Was God somehow powerless to save James or somehow indifferent as to his fate? Of course not! Did God love Peter more than James? Of course not! James had been very close to Jesus. God commands us not to worry about anything but rather to pray about everything, and when we pray in God’s will He will always answer (Philippians 4:6; Jeremiah 33:3). However, sometimes His answer is “no” for reasons we cannot understand but for reasons that are for a greater good than we could not possibly imagine. The challenge for us, from our limited perspective, is to trust in God’s perfect love and faithfulness and to have faith in God’s Sovereignty regardless of apparent circumstances. This is hard. It was hard for John the Baptist when he was in prison. He undoubtedly questioned why Jesus didn’t miraculously free him from prison. After all, Jesus said that John was the greatest man he knew. Nonetheless, John was beheaded. Why? God did not say. Key is to pray with the understanding that, though you may not perceive it, your prayers are always answered by your perfectly loving Father – don’t doubt. After the death of Stephen, and now James, the disciples, though praying fervently, could not really believe that Peter, chained and heavily guarded, would be freed from prison. When Rhoda reported that Peter was at the door knocking, the disciples said, “You’re out of your mind.” Why were they “astonished” when they saw Peter? Hadn’t they been praying to the Sovereign Father? Why, in this case, did they assume the answer to their prayer would be “no”? It is possible to be a “person of prayer” and yet not have faith. This robs you of joy and confidence. How would your life be different if you completely trusted God with your prayers? Pray that God will increase your faith to pray more fervently and to trust unconditionally. 6. Acts 12:2 – “He killed James the brother of John with the sword.” God did not prevent the murder of James yet expected the disciples to remain confident in their faith. 7. Acts 12:15 — “You are out of your mind.” The disciples prayed for miracles but did not really believe that God would answer their prayers in a miraculous way. How do you suppose the death of James affected the disciples’ hope? Is your faith so weak that you are surprised when your prayers are answered as you requested? 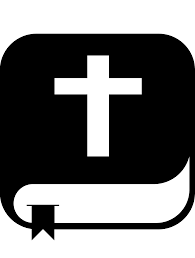 “Cross” Fit S-WOD (Spiritual Workout of the Day) – 23 Feb: Begin the habit of journaling your prayers, and start recording God’s answers to your prayers. Soon you will see the pattern of your prayer life.